We have a natural, normally clear, lens in each eye that helps us see by bending (refracting) light rays coming into the eye. A cataract is a clouding of this normally clear lens. 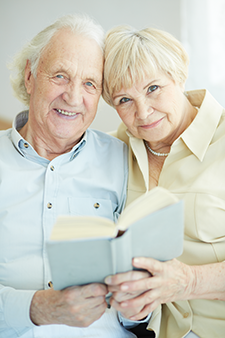 Cataracts are a natural process and, at this time, an unavoidable part of aging. Most cataracts develop slowly and don't interfere with your eyesight in the beginning. Dr. Burk will probably detect a cataract long before you notice it. However, cataracts will eventually interfere with your vision. Most often, cataracts develop in both eyes, but the cataract in one eye may develop faster than the other, creating different vision in each eye. What are Some Signs of Cataracts? Seeing through cataracts can be like looking through a foggy window which can make it more difficult to read, drive a car, and see details like the expression on someone’s face. Surgery is required to remove cataracts. Consider surgery when your cataracts begin to affect your quality of life or keep you from doing the things you want or need to do. Cataract surgery can help restore your vision long before you experience loss of vision significant enough to interfere with your daily activities. Fortunately, cataract surgery is generally a safe, effective procedure. Talk with Dr. Burk about whether surgery is right for you. When Dr. Burk tells you that you have a cataract that should be removed, it may be frightening to consider. But, once you understand what a cataract is, how it will be removed, and the life-changing benefits cataract surgery can bring, you’ll likely wish you’d had the procedure sooner. Cataract surgery is an outpatient procedure that will only take a few hours. When you arrive, your eyes may be treated with eye drops and anesthetic to minimize any discomfort during the operation. During this routine operation, a small incision is made in the eye. Dr. Burk will use a tiny instrument (about the size of a pen tip) to remove your clouded lens. This can be done with an ultrasonic instrument that breaks up and gently removes your cloudy lens. Once this is accomplished, Dr. Burk will insert an artificial intraocular lens (IOL) into your eye. Cataract Surgery is one of the safest, most effective types of surgery. It's also one of the most successful. After you have decided that you will have cataract surgery, Dr. Burk will measure your eye to determine the proper power of the IOL (intraocular lens) that will be placed in your eye during surgery. Multifocal lenses - correct a range of vision, near through distance, or reduce astigmatism. Crystalens AO Lens - Unlike standard cataract replacement lenses, Crystalens AO lenses correct your cataracts and give you back your full range of vision. They flex like your eye’s natural lens, allowing you to see better at all distances. AcrySof® IQ ReSTOR® - These lenses are an advanced type of multifocal IO. What if I have Cataracts and Glaucoma? Age is a risk factor for both cataracts and glaucoma, which means many patients will have both conditions. She will assess your specific situation and decide whether the two diseases should be treated with simultaneous surgeries or separate procedures. 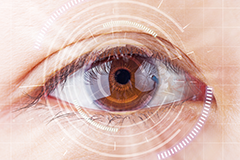 The decision of whether or not to combine cataract-glaucoma surgeries depends on various factors, including the type of glaucoma and its severity. Dr. Burk will take all these important factors into consideration when advising what is best for your eyes. Cataract surgery may be combined with one of several glaucoma surgeries. Newer, minimally-invasive glaucoma surgeries (MIGS) are approved for use in conjunction with cataract surgery. They can normally be performed using the same incision through which the cataract is removed. Combining surgeries means you need to undergo only one anesthetic procedure and make one surgical copay. Dr. Burk will tailor specific treatment plans for you to provide the best treatment with the lowest risk to each eye. Goniotomy is the surgical procedure for glaucoma that removes tissue blocking the flow of fluid out of the eye. The Kahook blade has made goniotomy less complex so that it is easily combined with cataract surgery. After surgery, it may be possible for you to decrease or eliminate your glaucoma drops.